Pioneers in the industry, we offer carbon molecular sieves and carbon molecular sieve from India. 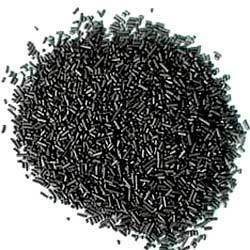 Carbon Molecular Sieves is an extruded, hard coal-based molecular sieve with a diameter measuring 1.4 mm. It has a find, homogeneous micro pore system. The molecular sieves permits the separation of oxygen from the air at very short cycle times to gain pure, gaseous nitrogen in pressure swing adsorption plants. Carbon Molecular Sieves is used in PSA plants fo generate pure, gaseous nitrogen. 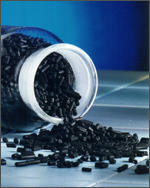 Owing to its impressive economy, the PSA technology based on carbon molecular sieves has prevailed worldwide over solutions that use membrane separation and cryogenic techniques. For More details please contact us. The wide range of high quality Carbon Molecular Sieves are known for their durability and performance. These are fundamental for any Pressure Swing Adsorption (PSA) Nitrogen Gas Generation Plants for generating High Purity Nitrogen Gas at a low cost. The Carbon Molecular Sieves have different absorptive rate for Oxygen and Nitrogen and are able to absorb Oxygen molecule under normal temperature and swinging pressure. This leads to formation of enriched nitrogen gas and is widely used in various applications in chemical industries, petroleum, electronic industry, metal heat treatment, food industries and many more. Bulk Density: 610 To 640 Gm/Liter. Looking for “Carbon Molecular Sieves”?